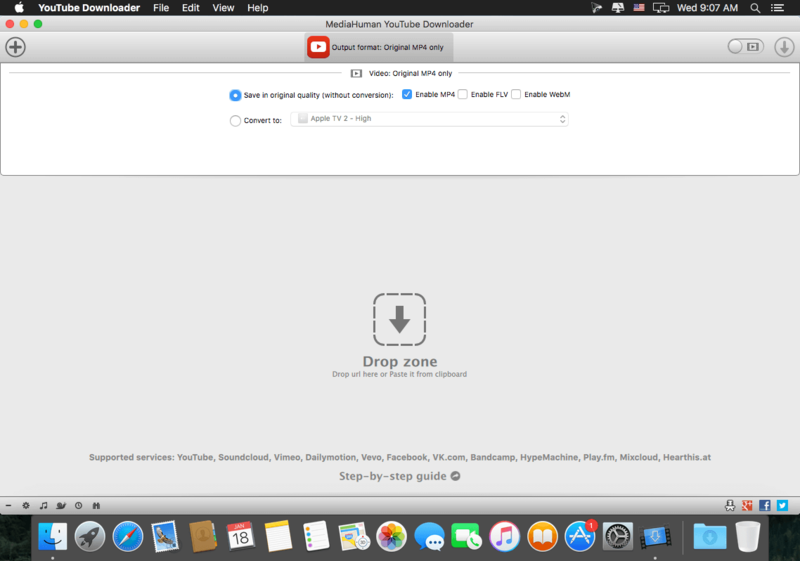 The program supports downloading of all videos of a playlist or a channel. And there’s also an option to track the selected channel or playlist and download new clips as they are uploaded. The program supports all available resolutions, be that 720p, 1080p or 4K. The choice is up to you. 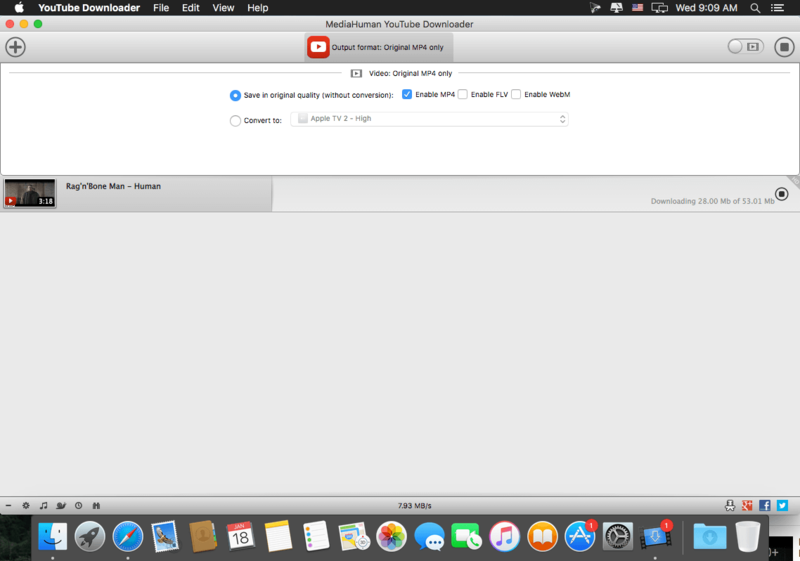 The program keeps an eye on the clipboard and as soon as it spots a supported link there, it automatically adds this video into the download queue. The app automatically detects the artist and the title of a video and saves them to the downloaded file. And you can easily change them later. The app features a 100% drag&drop support. 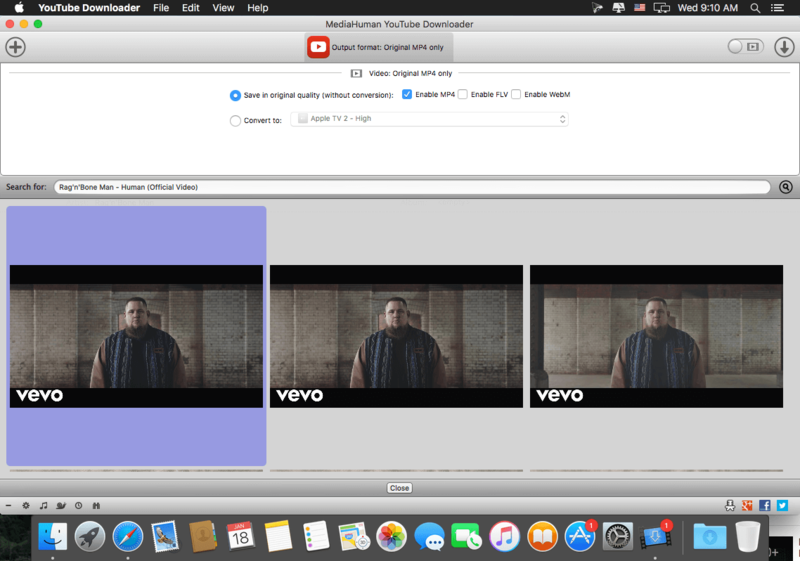 Just drag the link to a video with your mouse and drop it to the main window of the program, or to its dock icon on Mac.